With last 16 matches last round , Quarterfinal encounters will commence on Friday with France taking on Uruguay at Nizhny Novgorod while Brazil will face Belgium in Kazan. Schedule of Quarter final, On Saturday, Sweden will take on England at Samara and hosts Russia facing Croatia in Soch. Uruguay to face France, Brazil to play Belgium, on July 06. Sagar Media Inc: #SWESWI. Sweden defeat Switzerland 1-0 in round of 16 to move into quarter finals.Both EU Team played moderate game with goal shots saying instead to goal.Both teams got ample chance Swede defense robust. Sweden are through to the quarter finals of the World Cup- Emil Forsberg’s deflected strike enough to beat Switzerland. Sweden defeat Switzerland 1-0 in round of 16 to move into quarter finals. #FIFA18WorldCup. In another match England and Columbia unable to goal each other . #ENGCOL. 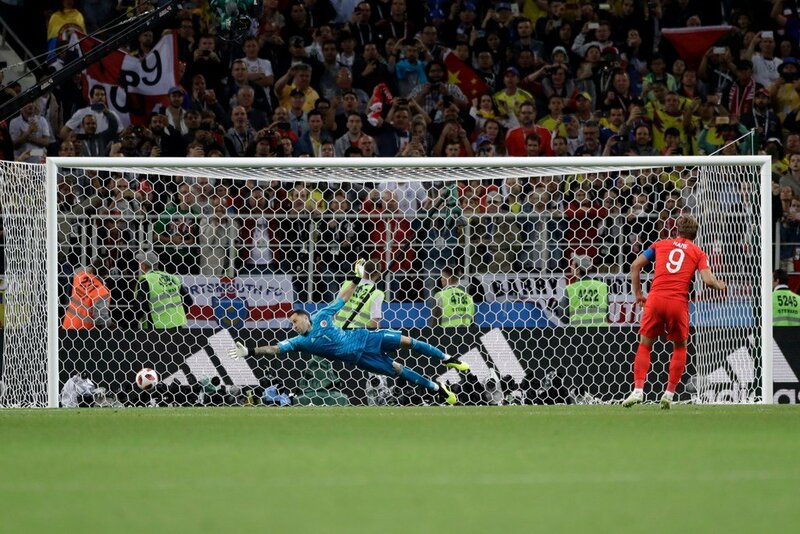 Goes for penality shoots, England wins a PENALTY shootout. England go further ahead when Spain, Germany, Argentina, and Mexico fell from grace. Quarterfinals line up has been finalised with the entry of Sweden and England to the last eight stage. In the final two Round of Sixteen matches yesterday, Sweden beat Switzerland one-nil at Saint Petersburg while England defeated Colombia in a dramatic penalty shoot-out in Moscow. At the Spartak Stadium, England overcame Colombia 4-3 in a penalty shoot-out after the match finished 1-1 following extra time. This was England’s first penalty shootout win at a World Cup.Colombia’s Jordan Henderson missed his penalty shot while Eric Dier netted the decisive spot-kick as England reached the quarter-finals for the first time since 2006. In the last pre-quarterfinal, Sweden edged Switzerland, riding on a solitary goal by Emil Forsberg at Saint Petersburg. Switzerland had the lion’s share of ball possession but was toothless in attack. Sweden reached the World Cup quarter-finals for the first time in 24 years.